ORIENTATION : PASSENGER'S SIDE, N/S, NEARSIDE. MAKE / MODEL : TOYOTA VERSO. [VERSO and VERSO-S MODELS]. 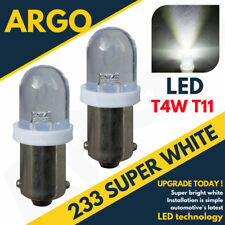 GOOD QUALITY FOG LAMP UNIT SUITABLE FOR . Toyota Verso Faro principal Faro H11 HB3 derecho Verso S 04 / 09-02 / 13. H11 FOCO / HB3 derecha. TOYOTA VERSO / VERSO S. Modell Verso Verso S. Año de construcción: 04 / 09-02 / 13. Fahrzeugmarke Toyota. TOYOTA VERSO / VERSO S. Toyota Auris. Año de construcción: 04 / 09-02 / 13. Fahrzeugmarke Toyota. Modell Auris. Gewährleistung JA. Gran Bretaña. MAKE / MODEL : TOYOTA VERSO. [VERSO and VERSO-S MODELS]. GOOD QUALITY FOG LAMP UNIT SUITABLE FOR PRODUCT TYPE / ATTRIBUTE: FRONT FOG LAMP. 2009 ABOVE TOYOTA VERSO DRIVER SIDE REAR LIGHT FITS IN BUMPER. Model: Verso S. Year: 02/2011-04/2014. Position on Vehicle: N/S Passenger Left. Vehicle: Toyota. You can use us for headlights, rear lights, door mirrors, mirror glass and covers as well as a constantly developing range of performance lighting. 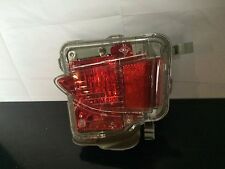 2005 TOYOTA COROLLA VERSO L Taillight. MODEL COROLLA VERSO. COROLLA VERSO 2004 -2007 Mk2 (AR10). COROLLA VERSO. CAR COLOUR Red. MAKE TOYOTA. Colour Code. The unit is used for motor racing. PASAJERO DELANTERO DERECHO TOYOTA VERSO S LA NIEBLA NCP12 NSP12 2010/11-PARA ARRIBA. Antiniebla delantera de lado del pasajero (lado derecho). • TOYOTA VERSO tipo AUR2 y ZGR2 desde 04/10/2009-2012. • TOYOTA VERSO S tipo NCP12 y NSP12 2010-11. NIEBLA FRONTAL IZQUIERDO CONDUCTOR TOYOTA VERSO S NCP12 NSP12 2010/11-PARA ARRIBA. Antiniebla delantera lado de conductor (lado izquierdo). • TOYOTA VERSO tipo AUR2 y ZGR2 desde 04/10/2009-2012. • TOYOTA VERSO S tipo NCP12 y NSP12 2010-11. Toyota Verso faro faro H11 HB3 izquierda verso S 04 / 09-02 / 13. H11 FOCO / HB3 izquierda. TOYOTA VERSO / VERSO S. Modell Verso Verso S. Año de construcción: 04 / 09-02 / 13. Fahrzeugmarke Toyota. Gewährleistung JA. Model: Verso S. Year: 02/2011-04/2014. Vehicle: Toyota. Wiper Blades. Position on Vehicle: O/S Drivers Right. You can use us for headlights, rear lights, door mirrors, mirror glass and covers as well as a constantly developing range of performance lighting. Toyota corolla verso driver side headlight. Genuine Toyota part. No allowance will be made on labour cost incurred. Model: Verso S. Year: 02/2011-04/2014. Position on Vehicle: Pair Left & Right. Vehicle: Toyota. You can use us for headlights, rear lights, door mirrors, mirror glass and covers as well as a constantly developing range of performance lighting. VERSO DE NIEBLA IZQUIERDO DELANTERO DERECHO TOYOTA S NCP12 NSP12 2010/11-PARA ARRIBA. • TOYOTA VERSO tipo AUR2 y ZGR2 desde 04/10/2009-2012. • TOYOTA VERSO S tipo NCP12 y NSP12 2010-11. Un par de niebla delantero pasajero laterales conductor (derecho izquierdo). ANTIBROUILLARD AVANT DROIT PASSAGER TOYOTA VERSO S NCP12 NSP12 11/2010-UP. Antibrouillard avant coté passager (coté droit). • Un antibrouillard avant coté passager (coté droit). • TOYOTA VERSO Type AUR2 et ZGR2 de 04/2009-10/2012. Model: Verso. 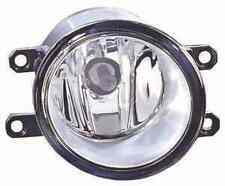 Product: Front Fog Light Lamp. Position on Vehicle: N/S Passenger Left. Vehicle: Toyota. Year: 03/2009-03/2013. You can use us for headlights, rear lights, door mirrors, mirror glass and covers as well as a constantly developing range of performance lighting. Rear O/S rear cluster light bulbs holder for Toyota Corolla verso. ANTIBROUILLARD AVANT GAUCHE CONDUCTEUR TOYOTA VERSO S NCP12 NSP12 11/2010-UP. Antibrouillard avant coté conducteur (coté gauche). • Un antibrouillard avant coté conducteur (coté gauche). • TOYOTA VERSO Type AUR2 et ZGR2 de 04/2009-10/2012. There is a picture with a part num ber! You will always get what is on the pictures! Model: Verso. 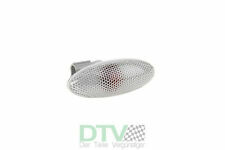 Product: Front Fog Light Lamp. Vehicle: Toyota. Wiper Blades. Position on Vehicle: O/S Drivers Right. Year: 03/2009-03/2013. You can use us for headlights, rear lights, door mirrors, mirror glass and covers as well as a constantly developing range of performance lighting. TOYOTA COROLLA VERSO FACELIFT 2007 - 2009. GENUINE DRIVER HEADLIGHT. THIS HEADLIGHT IS A USED PART. THIS IS A GENUINE TOYOTA PART. Headlights & Rear Lights. Rear Bumpers. Front Bumpers. Isle of Wight, Isle Of Man, Channel Islands, Northern Ireland, Isles of Scilly. 2007 TOYOTA COROLLA VERSO L Taillight. MODEL COROLLA VERSO. COROLLA VERSO 2004 -2007 Mk2 (AR10). COROLLA VERSO. CAR COLOUR Silver. MAKE TOYOTA. Colour Code. The unit is used for motor racing. ANTIBROUILLARD AVANT GAUCHE DROIT TOYOTA VERSO S NCP12 NSP12 11/2010-UP. Une paire antibrouillards avant coté passager conducteur (droit gauche). • TOYOTA VERSO Type AUR2 et ZGR2 de 04/2009-10/2012. THIS HEADLIGHT IS FROM 2011 VERSO. IN GOOD WORKING ORDER. ANY QUESTIONS PLEASE RING 01142442222. POSTAGE FOR SCOTLAND HIGHLANDS AND IRELAND APPLIES. The headlight will fit from 2004 - 2005 - 2006, also the headlight is in full prefect working order, condition and without any problems, it is just the headlight and it is a genuine TOYOTA part, also it has been checked and tested before it was removed from the car. 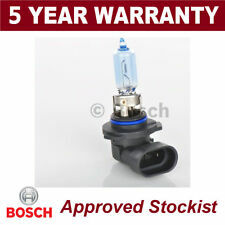 Toyota Verso S 2011-2016 bajo la luz larga Xenon H4 H4 bombillas Set lámpara. Estaremos encantados de encontrar las piezas correctas para usted. Model Verso S. Fitting type H4 (472). Make Toyota. Esta venta es para estrenarbombillas de los faros de xenón. Model: NIGHT BREAKER UNLIMITED XENARC. Bulb Type: D2S. Part Manufacturer: Osram. Fits Model: VERSO (_ZGR2_). Operates: LOW BEAM. Number of Bulbs Supplied: 2. Fits Make: TOYOTA. Fits Year: 04/09->. Para Toyota Verso S 2011-2016 antiniebla delantera luz H11 Xenon faros focos PAR lámpara. Estaremos encantados de encontrar las piezas correctas para usted. Headlight Bulb Type H11. Fitting type H11 (711). 2007 TOYOTA COROLLA VERSO R Headlamp. MODEL COROLLA VERSO. 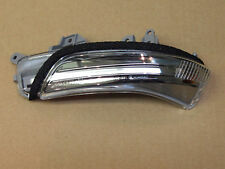 COROLLA VERSO 2004 -2007 Mk2 (AR10) Headlamp Right Halogen. COROLLA VERSO. CAR COLOUR Silver. MAKE TOYOTA. Colour Code. TRANMISSION 6 [mvr:speed] Manual. Toyota Verso S 2011-2016 bajo niebla alta xenón faros bombillas H4 H4 H11 conjunto. Estaremos encantados de encontrar las piezas correctas para usted. Esta venta es para estrenarbombillas de los faros de xenón. 2007 TOYOTA COROLLA VERSO L Headlamp. MODEL COROLLA VERSO. COROLLA VERSO 2004 -2007 Mk2 (AR10) Headlamp Left Halogen. COROLLA VERSO. MAKE TOYOTA. Browse an extensive range of. AIR CON Unknown. Autosave vehicle recyclers are a vehicle dismantlers located in the borough of bury in greater manchester. Para el Toyota Verso S 2011-2016 bajo cruce viga H4 Xenon faros focos PAR lámpara. Estaremos encantados de encontrar las piezas correctas para usted. Esta venta es para estrenarbombillas de los faros de xenón. WE HELP YOU FOR A HASSLE-FREE, SIMPLE AND EFFICIENT WAY TO HANDLE ANY ISSUES. Para el Toyota Verso S 2011-2016 viga principal alta H4 Xenon bombillas par lámpara. Estaremos encantados de encontrar las piezas correctas para usted. Esta venta es para estrenarbombillas de los faros de xenón. 2004 TOYOTA COROLLA VERSO L Headlamp. MODEL COROLLA VERSO. COROLLA VERSO 2004 -2007 Mk2 (AR10) Headlamp Left Halogen. COROLLA VERSO. MAKE TOYOTA. Browse an extensive range of. AIR CON Unknown. Autosave vehicle recyclers are a vehicle dismantlers located in the borough of bury in greater manchester. PRODOTTO ORIGINALE MAGNETI MARELLI. FRANCIA: CORSICA (20000-20999). VERSO DE TOYOTA LUZ TRASERA DERECHA 2009 > SIN PORTALÁMPARAS. Producto original Magneti Marelli. Codice ricambio originale OE/OEM 815510F091. MPN FARO FANALINO STOP ORIGINALE LLL661. GRAN BRETAÑA: BT, JE, ZE. REMOVED FROM A 2001 TOYOTA YARIS VERSO. THERE ARE NO EXCEPTIONS. ALL OUR ENGINES AND GEARBOXES ARE SUPPLIED FREE OF ANY OIL. WE ADVISE YOU CHANGE TIMING BELT AND OIL FILTER WHERE APPLICABLE. ALL PARTS ARE REMOVED FROM RIGHT HAND DRIVE UK SPEC VEHICLES UNLESS STATED OTHERWISE. Front Fog Lamp. Keiths Motorist DIY (Keith). Barry Cooper Automotives (Laurencekirk). Autosave Components (Elgin). Autosave Components (Inverness). Autosave Components (Riverside). Autosave Components (Bridge of Don). There is a picture with a part number!